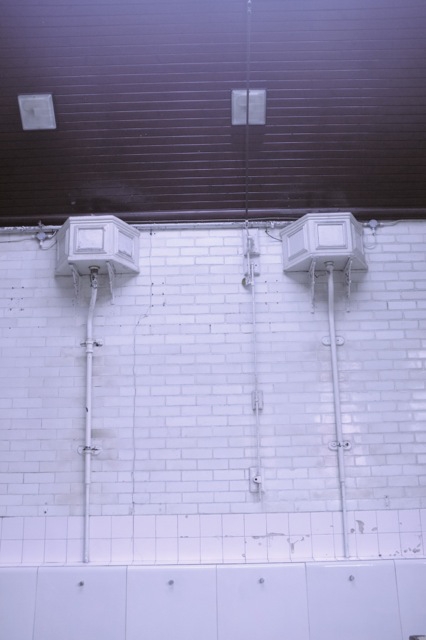 Alice and Ana will be resident at The Edwardian Cloakroom on the corner of Woodland Road and Park Row in Bristol from 13th-19th October 2014 as part of the Bristol Creative Spaces programme. 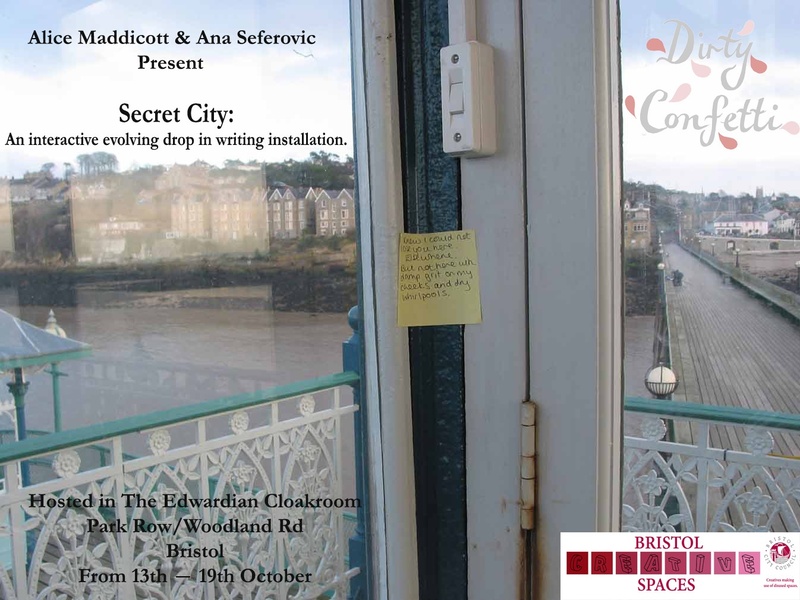 Secret City is a collaborative, evolving, drop-in writing installation that will be created over the week of the 13th of October in the Edwardian Cloakroom (Woodland Road/Park Row) by Alice and Ana with help from members of the Bristol public. Alice and Ana will be resident in the cloakroom, spending the whole week creating work inspired by the setting, its atmosphere, history and the surrounding area, as well as old photos and objects, playing with the conventions of found notes, lists, graffiti and anonymous messages to create an immersive archive of writing that will transform the cloakroom as the week progresses. Members of the public, as well as any school or community groups who are interested, are invited to drop by and contribute to the installation, leaving their own stories, memories, creative interpretations to help build this evolving body of site-specific work. The residency will culminate in a performance on Saturday 18th (7pm – time to be confirmed) where people are invited to come back and read their work from the installation, as well as listen to Alice, Ana and local musicians. The installation will also be documented to form an archive of imagination and interpretation – of thought rather than fact – that will hopefully allow the project to continue to evolve after its physical completion.There may also be a publication if funding can be obtained.